Kentucky Life Realty and our website - SoldByK.com - are the best resources around for all Greater Louisville real estate information. We offer access to ALL Greater Louisville homes for sale and real estate listings including Jefferson County, Oldham County, Shelby County, Spencer County, Henry County and Bullitt County. Relocating to Louisville? I can help you find your perfect home in Louisville or one of the many fantastic nearby suburbs. My expertise and knowledge of the area will ensure you find the home and community that match your budget and lifestyle. I have been trained over the years to handle and service all Cartus, GE, Ford, USAA and Humana transferred employees and new hires, just to name a few. If you are considering a move to Louisville, please call 502-643-2255 for your FREE Louisville Relocation Packet which includes community information, school information, maps and more. Find out how much your home is worth in less than 1 minute! 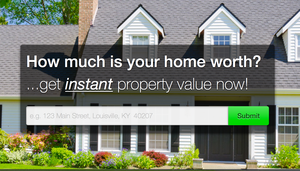 If you're considering selling your Greater Louisville home you'll have plenty of questions: What is my home worth? What do I need to do before selling to maximize my value? How fast can you sell my home in today's market? I need to sell before I purchase, however I do not want to make an interim move, how do I do this plus much more. If you are thinking of selling click the above and check out your approximate worth which is just one piece of the puzzle to establish fair market value.